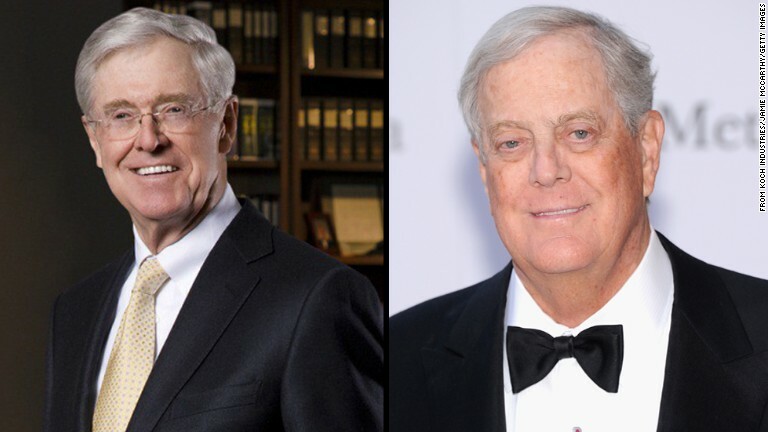 ” Charles and David Koch will use their political action committee to unleash at least $125 million on a grass-roots, broadcasting, and data operations for conservative candidates in the 2014 midterm elections, and have outlined a longer-term battle vision. The expenditure by the conservative billionaire brothers’ Americans for Prosperity will be aimed at boosting free market candidates while hammering Democrats, and the vast expenditure will alone exceed the combined total spending of all of the official party organizations in the 2012 elections, Politico reported. The funds are expected to transform the organization’s already sprawling field operation and deploy a new “closed-loop data system in which volunteer and membership information is automatically updated” for access by phone bank workers and canvassers going door-to-door with the latest technology, such as tablets. Beyond the 2014 elections, the move is designed to jump-start a longer-term operation to expand the influence of conservatives into new states and broaden the movement’s base of support to include millennials, Hispanics, and low-income voters, an aim the Republican Party has been vexed about achieving as a condition of its survival. What Leading Democrat Politicians Took Koch Brother Money? ” Senate Majority Leader Harry Reid has worked tirelessly to vilify the Koch Brothers. Ranting and raving on the Senate floor like a madman, the senior Senator from Nevada has publicly bashed the benefactor brothers for their willingness to engage in the political process. 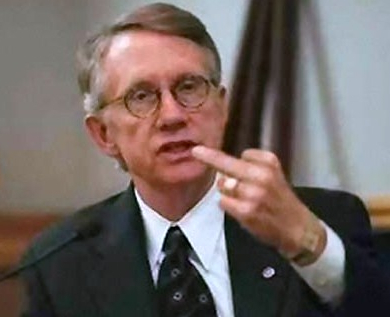 Through all of his blustering, Sen. Reid has tried to paint campaign contributions as a decidedly right wing issue; apparently, Sen. Reid has never stopped to wonder where Democrats get their money. ” The Democrats, still reeling from the findings of their favorite whiz kid Nate Silver that the odds favor the GOP taking over the Senate, get a few dollops of bad news in the George Washington University Battleground poll. ” Charles and David Koch raised eyebrows in D.C. last week with an aggressive push back of Senate Majority Leader Harry Reid after the Nevada Democrat delivered the kind of bare-knuckle attack on the billionaire brothers that has become commonplace by top Democrats in the Citizens United era. ” All Americans should be deeply concerned when officials use their elected office, particularly the office of the Senate Majority Leader, to stifle First Amendment rights of free speech and association,” Philip Ellender, a top official at Koch Industries, told Breitbart News. Ellender also released a sharply-worded letter taking Reid to task. from it. On the contrary, the event illustrates how closely intertwined the “respectable” Left ( i.e ., the Democratic Party) has become with the disreputable, and often outright criminal, Left.